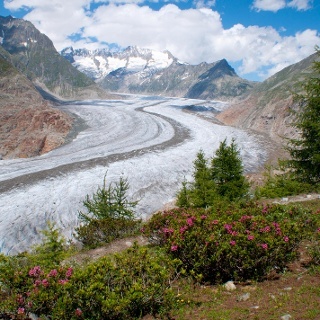 With over 300 km of walks, the Aletsch Arena can justifiably be called a hiker's paradise. 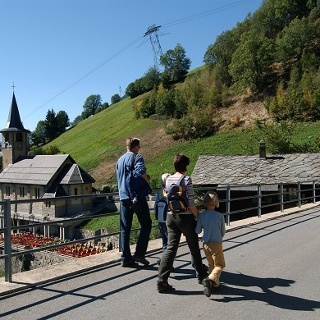 The most liberating nature experience of the Alps has simply wonderful routes for every hiking enthusiast. 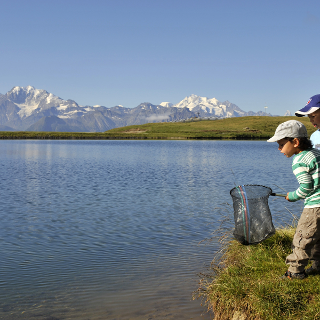 Our suggested walks range from pram-friendly paths to trails through the magnificent Aletsch Forest, hikes between the mountain huts and high Alpine walks with views of the Great Aletsch Glacier. Highlights such as the Aletsch Panoramaweg panoramic trail, Belalp-Riederalp suspension footbridge and the UNESCO high trail make this unique walking paradise even more exciting. Three idyllic mountain lakes and the imposing Great Aletsch Glacier: this fantastic circular hike lets you experience the element of water in a particularly impressive form. Leaving the mountain station of Bettmeralp cable car, you head up to Lake Bettmersee. Now follow the path along the western shore of the lake and then on uphill to Lake Blausee. From there, the route takes you up to Biel and Hohbalm, where you cross over to the other side of the ridge. 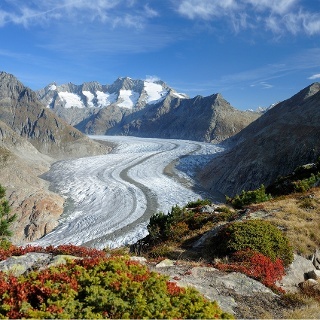 On the following section of the trail to the “Roti Chumma”, views of the Great Aletsch Glacier accompany you all the way. You may also see Valais Blacknose sheep, which spend the summer grazing on the sparse alpine meadows. Once you arrive at the “Roti Chumma”, the monumental glacier is right before you. However you keep on towards Märjela and Lake Märjelensee. Passing the Gletscherstube, the route takes you back in the direction of the sunny plateau. Go through the illuminated Tälligrat-Tunnel (Upper Tälli) and on up to Fiescheralp. From here you can either let the cable car whisk you down to Fiesch, or continue on the Herrenweg trail to Bettmeralp, the starting point of the tour. Plan a break at the Gletscherstube! Here you can digest all you’ve seen so far as you fortify yourself for the remainder of the hike. 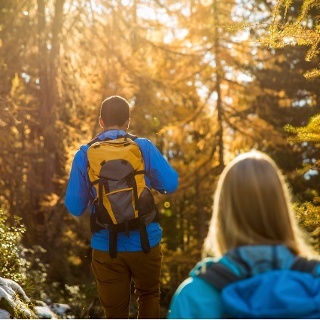 Use of the trails and the information on this website is at hikers’ own risk. Local conditions may entail changes to routes. Aletsch Arena AG accepts no liability for the accuracy and completeness of information on this website. Bring a map. Download full description of this route including large-scale map by clicking on «Print» icon, top right of this page. Close gates after passing through. Please be considerate to other trail users, and to the plants and animals. Do not leave any waste in nature. By train from Brig or Oberwald to Betten valley station. Take the Bettmeralp cable car (Aletsch Bahnen AG) up to Bettmeralp. Take Kantonsstrasse 19 to the Betten Valley Station exit. Take the Bettmeralp cable car (Aletsch Bahnen AG) up to Bettmeralp. 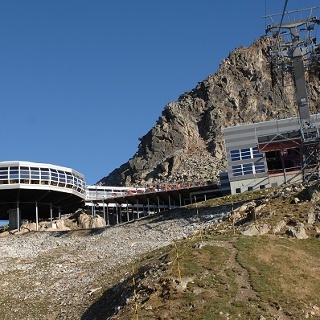 Large pay car park near the valley station of the Bettmeralp cable car (Aletsch Bahnen AG). 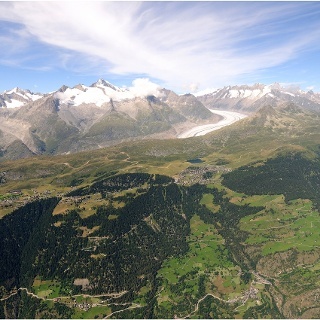 Get a free panoramic map at the cable car stations and info centres of the Aletsch Arena.